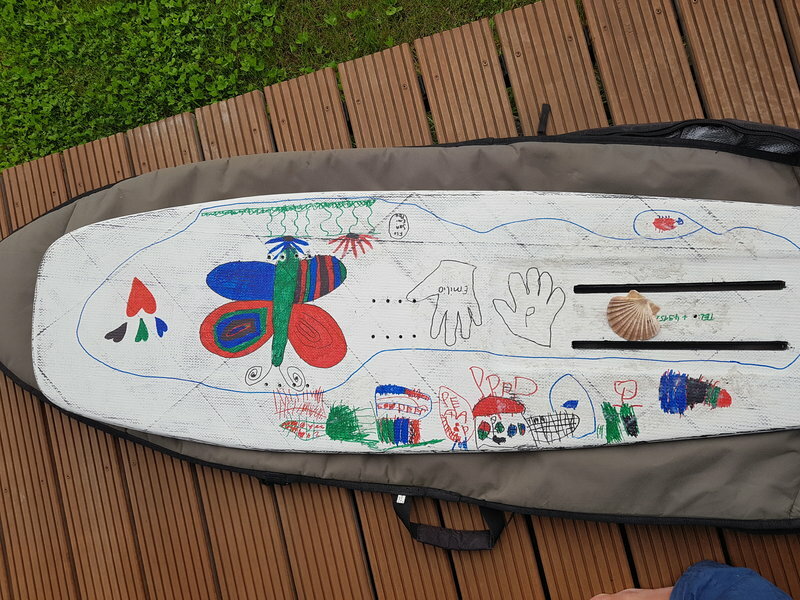 Any experience with high load jumping using a "kite foil box"
I actualy design plans for a new board to give them to my shaper. To be as flexible as possible I want to set inbetween the two standard rails for plate mount also a rail that will allow at least three position for kitefoilbox (kfb) strut heads (-4 cm, 0 cm + 4cm) . I know this will go on cost of weight, but I like the kfb concept for shorter struts without big strut heads for traveling. And I don't have doupts that a three positon kfb will be weaker than a one place if adding a reinforcment frame inside the board in the middle of this elongated box to prevent it from getting stretched towards the sidewalls. The small front walls shouldn't take relevant load anyway. As also not too many brands using kfb and most of them use it just with freeriding strapless style foils…. So anybody around, who has jumped his kfb setup, in the best case with a volume board, for a year without any problem and maybe a video of your riding style and your weight to evaluate how hard the load is. Re: Any experience with high load jumping using a "kite foil box"
The KF Box and the Tuttle box and the Pro Box all are designed to take most of the forces on the sides and front/back edges of the box. The screws used to hold them in place shouldn't normally see much load. In fact Alpine used only one screw, (although now they have gone to two screws). The plate system is different and the four screws all take significant loads. As long as the mast is tightly installed I would expect something else would break before the screws would break in any of these systems. But if the mast is loose and moving around then sheer forces and metal fatigue can certainly cause a screw to fail. yes I see your points, but I am sure it is not about absolute values of the strengt of a best material M6 screw but much about load caused by leverage. I have seen constructions with M6 screws of best quality steel that broke during riding and looked like out of a tensile test. Studied a bit material science so a bit know what I am talking about. And it is not only about screws but more about if k-f box in creates too high loads due to its small size to all components, especially to a box inside a volume board. And till now I have seen no video of someone with a k-f box boosting hard for a year or more. What are all those f-one foil owners do, staying on the ground? Some of our most frequent boosters ( 10's of thousands of massive boosts) are running on Alpine with KF. Haven't see one fail yet which amazes me. Other brands were not as robust. Personally I prefer the strength of the distributed load of the Moses plate system. Hard to imagine the single boxes holding up but they seem to on the Alpines at least. I do think the boards are quite heavy so they may be well reinforced and braced between stringers and such. KFBox or Tuttle box or whatever box are cleaner and more sleek and in every way also really strong when mounted correctly, using a good female box. 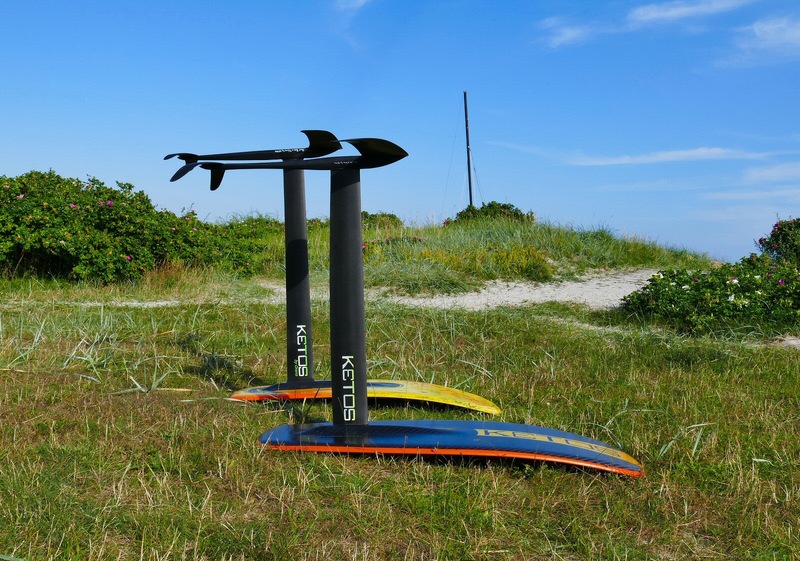 I've had the KFBox in different depths, mounted on a handful of kitefoilboards, and also on my windfoil (where the loads are much stronger usually). Again, nothing is stronger than the build/inserts used. I would think you would want m8 screws, and to be sure the top part of the mast was a true monolithic carbon fiber laminate all the way through, since so much more load would be put on the screws and thence into the inside of the mast, without any front or rear walls to the box. It would also be a big advantage to have not a normal kf box mast head but instead a longer one. Today i got the message from the french alps, jumping is ok with the "KF box out"
to install the KF box in.